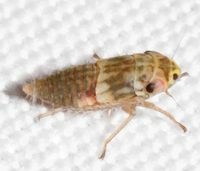 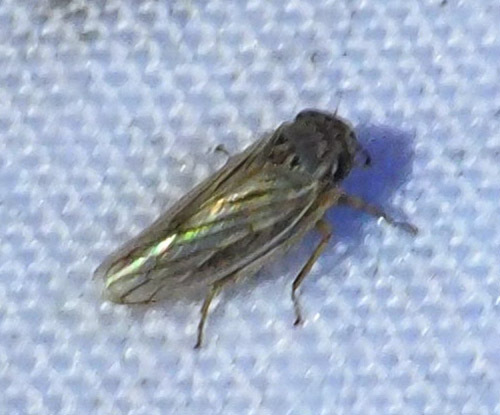 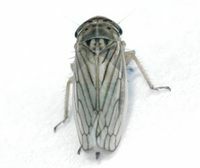 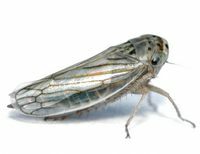 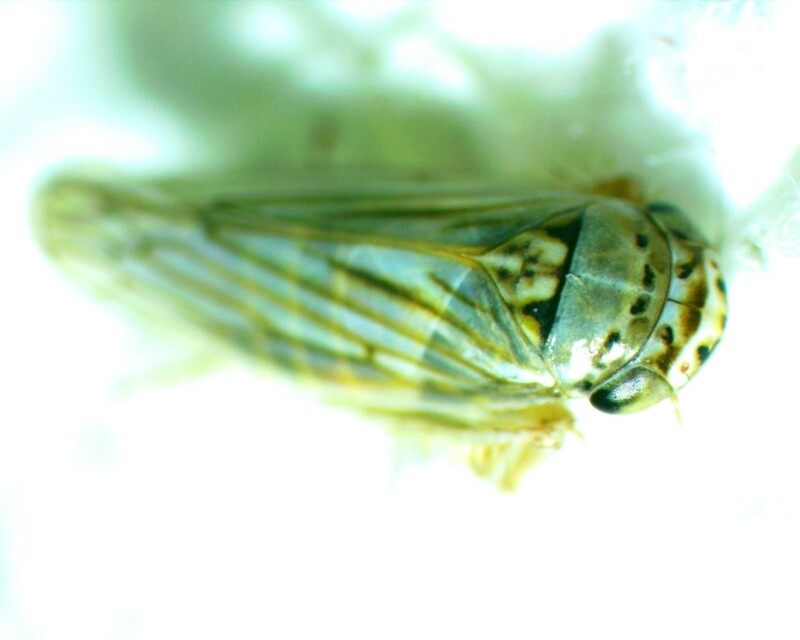 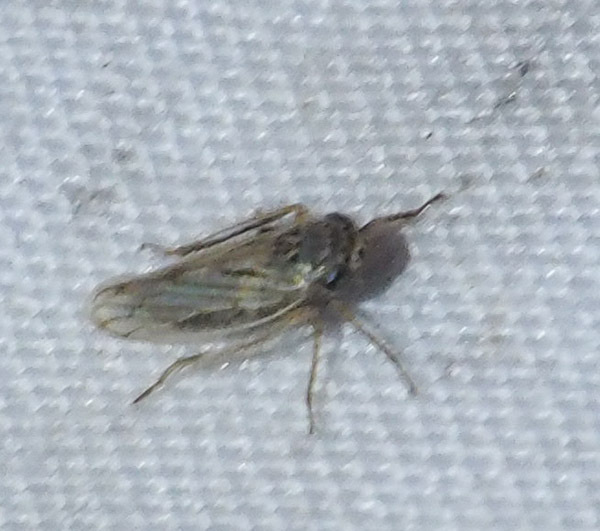 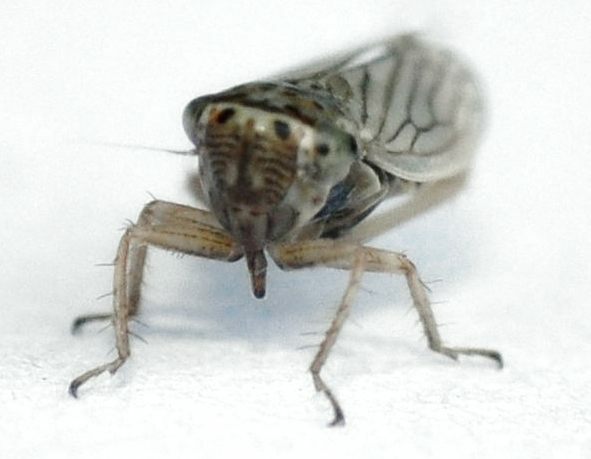 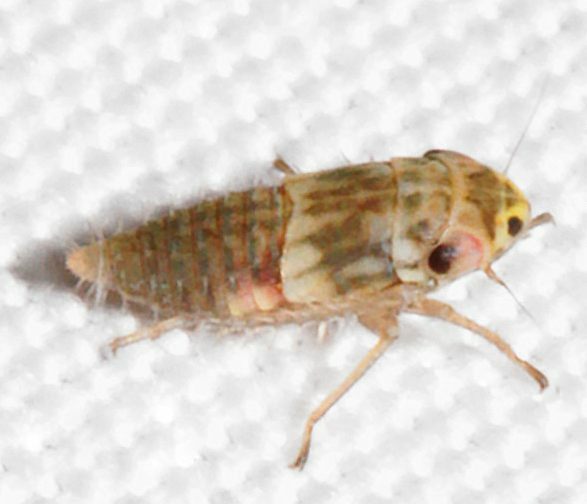 Description: A distinctive leafhopper that is a pale brown to grayish/silver color overall. 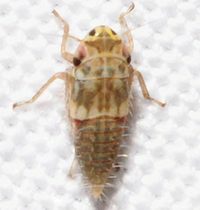 There are black spots on the head and edge of the thorax, as well as a thin brown transverse band across the head; these marks are characteristic for this species. 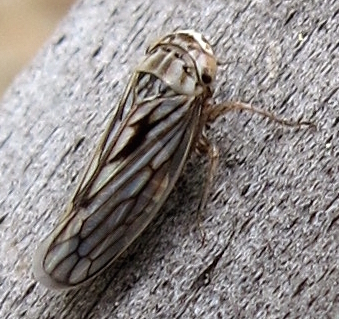 There are also two black triangles in the upper corners of the scutellum and a third, smaller triangle between the two larger ones. The wings are clear to silvery white with distinct, contrasting brown venation. The wings also typically extend slightly past the abdomen (BG). Legs are reddish in color. Nymphs are light brown overall but show the characteristic head markings found in the adults. Distribution: Found across North America, south to Mexico and the West Indies (BG). 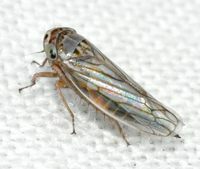 Abundance: A common species, recorded across the state with a majority of records from the Piedmont and Coastal Plain. 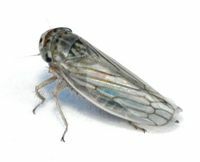 Habitats: Any grassy, field-type habitat, including forest edges. Plant Associates: Turfgrasses, etc. This species has been taken from dozens of plants: for a large list of plants, see: DL. 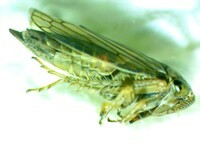 Behavior: This species breeds on any available grass, then flies off to find whatever is available, always choosing the most succulent growth (BG). It can be attracted at night with a light. 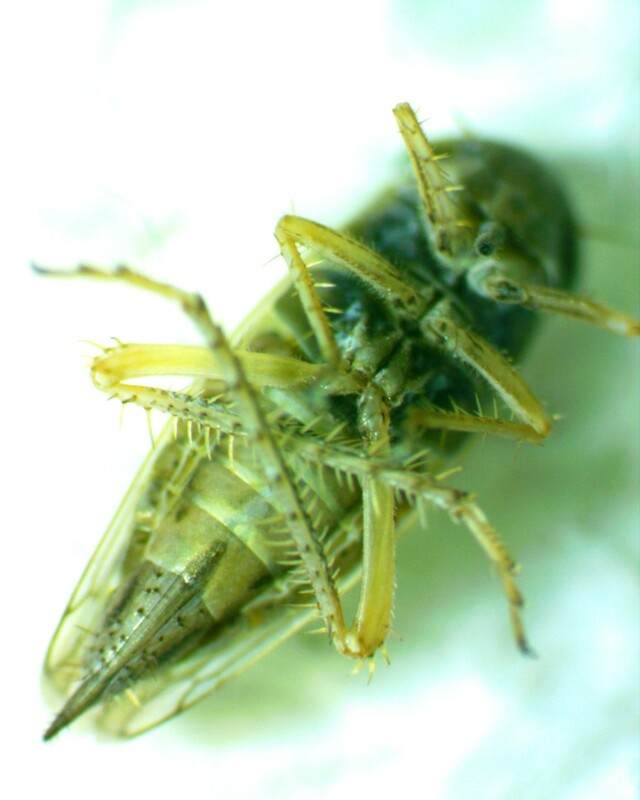 Comment: An invasive species, but it is considered native to Mexico and the U.S. (BG). It can be an agricultural pest, as it can transmit the diseases corn stunt spiroplasma (CSS) and maize bushy stunt phytoplasma (MBSP); these diseases are more common in southern Florida (UF).